LUBRITA Company - a lot of NUMBERS - Only 1 Brand! Endlessness opportunities with 1 BRAND CALLED LUBRITA! 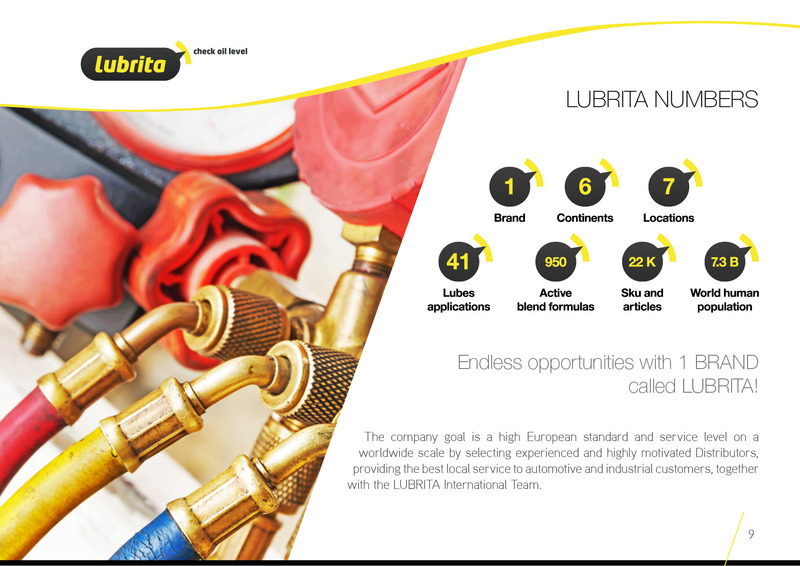 The company goal is a high European standard and service level on a worldwide scale by selecting experienced and highly motivated Distributors, providing the best local service to automotive and industrial customers, together with the LUBRITA International Team.